This listing is for a the Wormz Bug Prey attachment that ONLY fits the Bug Hunter or Peekee wands- If you do not have the wands, please see other listings for the wands only or sets. 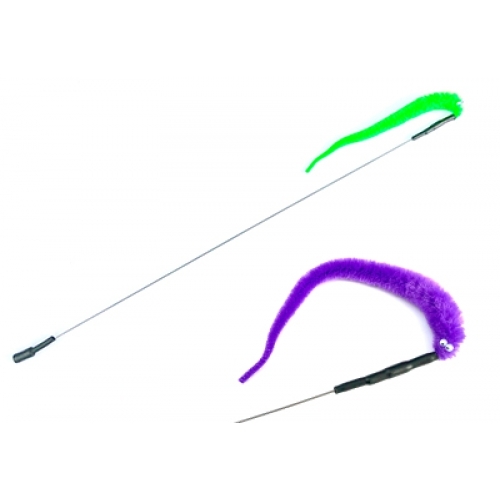 The Wormz Bug Prey is fixed to a stiff but flexible wire and a female fixing on the other end to attach to the Bug hunter rod. Ave 50cm long plus Bug. If your cats like to chase Wiggly Wormz , this is the Bug for them!